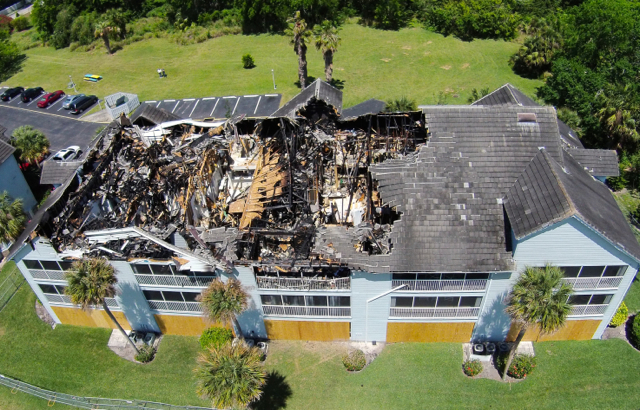 On Thursday, March 27th 2014, fire ripped through 15 units of the Shadow Wood Condominiums Development in Titusville, Florida. 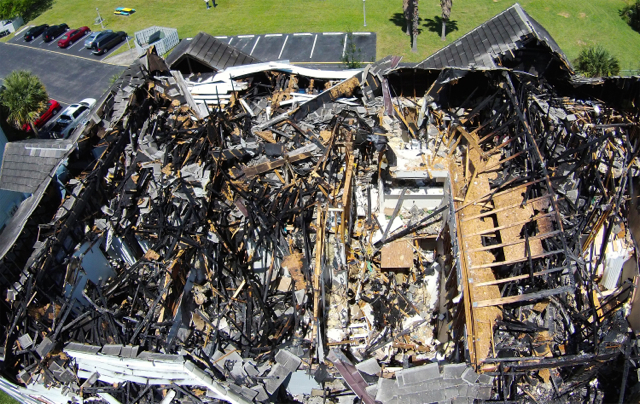 Fifteen units destroyed, yet not one life was lost. That’s the good news. 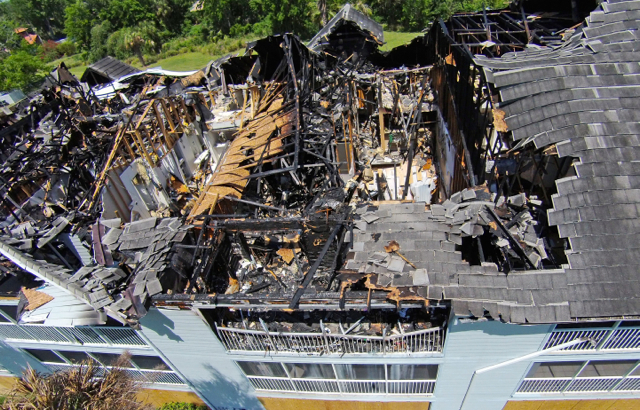 The bad news is that these same families and others affected by the fire, smoke and water damage are affected and need to have their lives restored to a level of normal as soon as possible. And that is where ORANGE COUNTY CONSTRUCTION COMPANY comes into place. We specialize in Emergency Board Up, Emergency Services and Fire Restoration Services and Fire Restoration Clean Up. Quite simply, we are a locally owned and licensed general contracting company that specializes in such emergency service repairs. 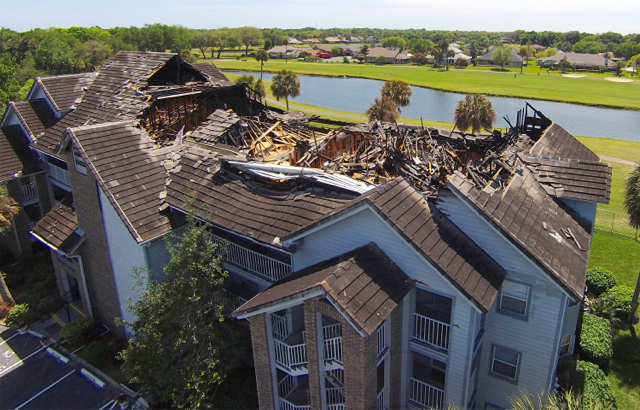 We are one of the leaders in Central Florida who people rely on to perform as promised, on time and at budget in getting lives back to normal. We are not bashful in saying that we are very good at doing just that. We feel it important to tell you that we have a long line of clients who attest to their being pleased with the professionalism and integrity in how we handled their needs. We also take pride in high ratings with the BBB (Better Business Bureau), Angie’s List and others. 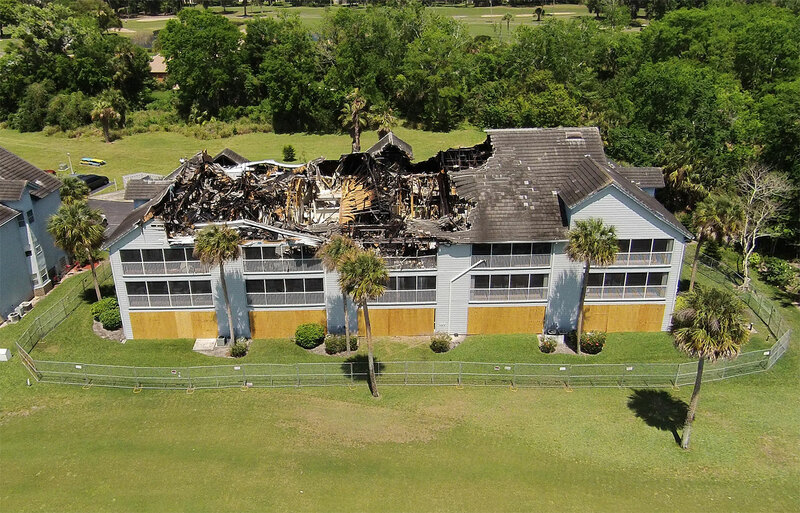 There are many fire restoration companies to choose from. Be sure that you check and verify that the firm you ultimately choose to serve you has the ability, the team, the integrity and equipment to get in and start when you need them. 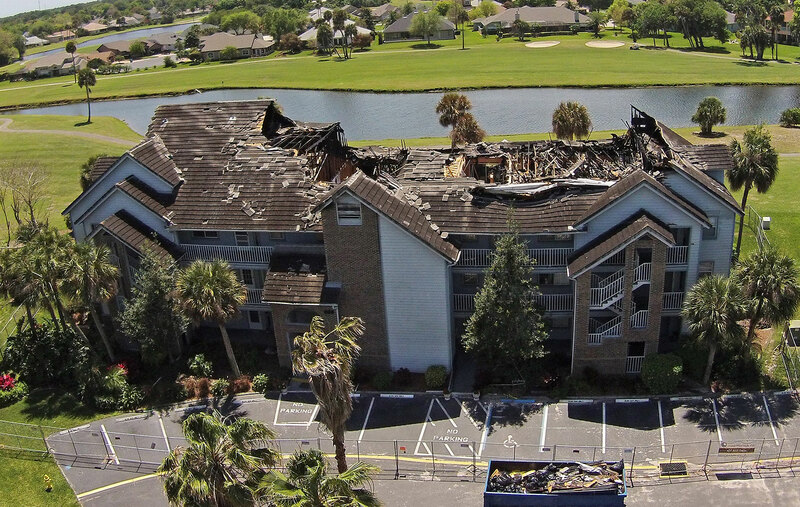 In handling emergency service calls caused by fire, smoke, water, storm and other damage … you are looking for a company who has the ability to handle many jobs at one time. ORANGE COUNTY CONSTRUCTION COMPANY is that firm! We know that if you do your homework, you will find it difficult to choose others. It makes a difference when you are working with a home team who live in and love Central Florida. We take care of you and are honored that you have even visited this page to give us any consideration at all. The six photos above as well as the video above was provided by Russ Maiorana, owner of VideoGuy.com. We are extremely please with the quality of his work and wanted to be sure he was given credit for the high quality provided.